Did Kim, a third-generation heredity leader, think Trump would share his love for lavish gestures and things grandiose? After spending months trading insults and war threats with him, has Kim learned that the way to influence Trump is to appeal to his ego — something South Korean President Moon Jae-in seemed to try in April when he openly endorsed Trump for the Nobel Peace Prize? However, North Korean Vice Marshal Jo Myong Rok delivered a letter from the late Kim Jong Il, the second North Korean leader, when he visited former President Bill Clinton at the White House in 2000, according to the State Department. 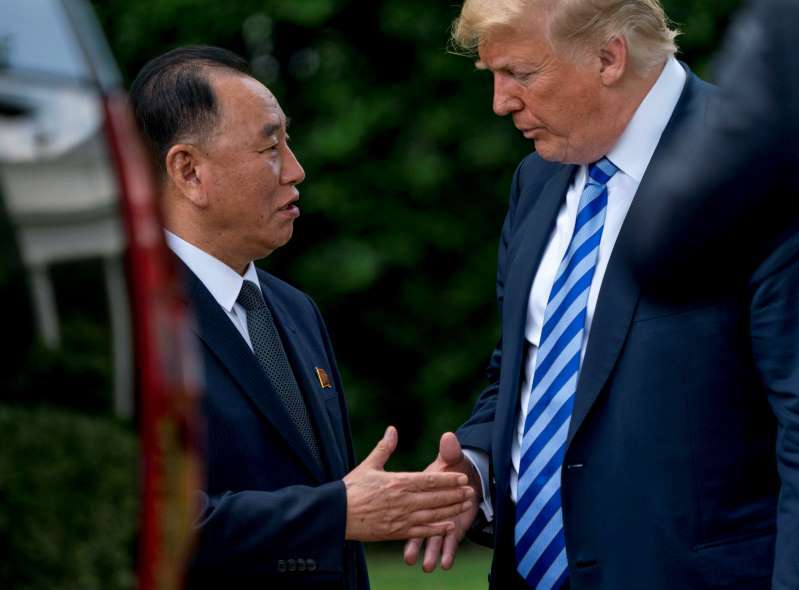 World - U.S. Daily News: Pushing the envelope: Why was Kim's letter for Trump so big?